For the longest time, casinos have been relegated to the realm of villains and violence – from the cunning Le Chiffre of Casino Royale to the deceitful Terry Benedict of Ocean’s Eleven. But the historic roots of casinos go beyond what we usually see onscreen and there’s a reason why so many people find it appealing after so many years. So, if you’re thinking of suggesting a casino themed party for your next event but don’t know how to sell it to your peers, then here are a few reasons you can give them. Unknown to many, the history of casinos and gambling in general, is deeply rooted in the past with some historians even dating it back to ancient China, back when people betted on homing pigeons – a game which exists until today. It was only in the 9th century that card games were invented in China. It eventually found its way to Europe where most of its original designs were replaced by more familiar Western symbols such as Kings and Queens. But the Chinese created these games for more than just entertainment, they were means to provide for their community. Most profit gained from the games were given to government officials to fund state works. The same concept applies today, with many corporations opting for casino-themed parties for their fund-raising events. Whether it’s poker, black jack or texas hold ‘em, winning any of these card games require more than just dumb luck. In fact, it takes both strategic and psychological skills to play a winning hand. But don’t take our word for it. Several studies have shown that playing card games can improve memory, increase awareness and decrease one’s chances of suffering from debilitating diseases like Alzheimer’s and dementia. But the health benefits of these games don’t stop there. Card players also learn how to take better risks, socialize more and cope with failure in a healthy manner. Overall, these games improve one’s personal development in a simple but effective way. Above all, throwing a casino-themed party is a great way for guests to relax, have fun and let loose while still being in a safe environment. It’s a no-fuss, fool-proof way to make sure that they remember you and your event for a long time. 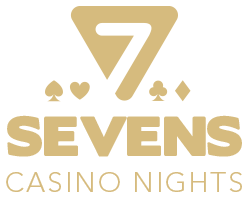 To find out how you can throw your own epic casino-themed party make sure to check out our packages here.